The Cabot Creamery was originally established in 1919 when ninety-four farmers created a dairy cooperative and purchased the buildings that became the original Cabot Creamery plant. 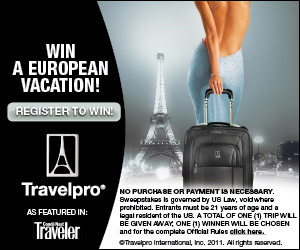 Today they are world-renowned for their line of cheeses, butter, yogurt, sour cream and more. Over the past few years, their products have racked up an impressive collection of awards, including the "Best Cheddar" and "Best Flavored Cheese" from the World Championship Cheese Contest, "Best Cow's Milk Cheddar" from the American Cheese Society, "Most Outstanding Cheese" from the National Milk Producers Federation and more. Slightly more quirky recognition came recently when Cabot cheeses were used to create the World's Largest Grilled Sandwich (320 pounds) for a Guinness World Record. Visitors to Cabot Village can stop in to tour the factory. The tour ($1/person in 2002 for those cheese lovers over twelve) starts with a video on Cabot and the agricultural history of Vermont and includes a look at cheese being made, free samples of a variety of Cabot's products and special factory prices on cheese, etc. in their gift shop. While closed in January, the factory is open November-May, 9-4 (Mon-Sat) and June-October, 9-5 (daily). 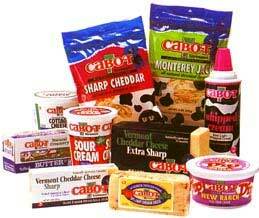 Call Cabot at 1-800-837-4261 to confirm when cheese is being made so you can schedule your visit accordingly. Cabot Creamery also has a significant Web presence (http://www.cabotcheese.com) where you can shop for cheeses, get product and nutritional information and browse through a ton of recipes. To find out more about the Cabot area, including lodging, dining, other attractions and more, stop by The Virtual Vermonter - Cabot.